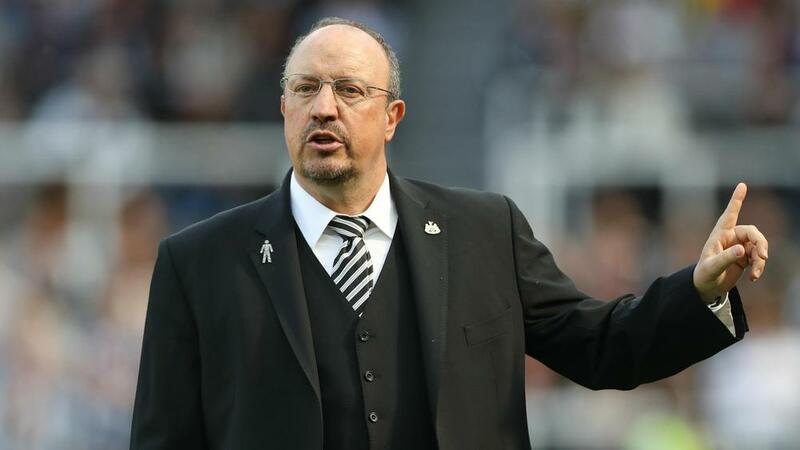 Newcastle United manager Rafael Benitez has claimed he was in the running to take over as Spain coach for the World Cup. The 2010 world champions' plans were thrown into disarray when Julen Lopetegui was sensationally sacked on the eve of the tournament after it emerged he had agreed to succeed Zinedine Zidane at Real Madrid. The Royal Spanish Football Federation (RFEF) subsequently handed the reins to sporting director Fernando Hierro on an interim basis, but the former defender could only guide them as far as the last 16, where they lost to hosts Russia on penalties. Ex-Barcelona boss Luis Enrique has since been installed as head coach on a two-year contract, but it appears Benitez could have been given the opportunity to impress in the role. "There was maybe a chance," Benitez told reporters. "But I am still [at Newcastle] and I am happy to be here. "There was a chance. There were rumours about that." Though the move did not come to fruition, the 58-year-old remains receptive to the idea of coaching his country at a World Cup. "We will see. I still feel young, so I have plenty of time to do that," he added. "Spain, I think, are a very good team and they will be better in the future." Benitez guided Newcastle to a 10th-place finish in the Premier League last season, having secured promotion back to the top flight as Championship winners in 2016-17. Xavi: 48-Team World Cup "Will Not Be Good"